It is with great excitement that the Garms Family (formerly known as Great Adventure Gospel Band) introduces their new name and redesigned website. Filled with fresh vision, this musical family from Braham, Minnesota is thrilled to continue the journey the Lord set them on in 2008. Yes, the sentimental name “Great Adventure Gospel Band” is retired, which ties in the “Great Adventure” story and a direct emphasis on “gospel band”. 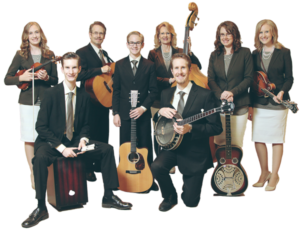 But to provide a clear representation of who they are as a band and keep some aspects of the former title, the Garms Family has taken up the tagline: Minnesota’s Family of Southern Gospel Music. As 2012 moves on, the Garms Family is refreshed with the vision to encourage the body of believers with inspiring, challenging, and light-heartening songs (some old, some new, some borrowed, and some blue – well, maybe not blue! ), and to deliver the Gospel of Jesus Christ to those who may not yet believe. They are striving to give each concert performance their best and keep polishing the gifts and skills God has given them – all to His glory. It is their passion to encourage people to live the Word, and are moving forward with this goal in mind. So, take a tour of the new website; get to know the family, read the testimonies of God’s grace, see where the Garms Family is going next, and leave a comment – your thoughts are always welcome! The Garms Family would love to hear from you, and hopes to see you soon! On to the next chapter of “The Great Adventure”!